Published online at the Religious Studies Project website in January 2013. Published by the Religious Studies Project, on 23 January 2013 in response to the Religious Studies Project Interview with Dale Martin on Religious Studies and Biblical Studies (21 January 2013). Editor’s Note: A version of this post was published earlier today with a couple of minor but important changes made by Chris and mistakenly not communicated to the author. These unauthorised changes have been removed, and the version presented below meets with the approval of both Mr Lataster and the editors. The RSP would like to apologise to Mr Lataster, and to our readers, for any unintended misrepresentation of this important piece. Around the half-way mark of Jack Tsonis’ interview with Professor Dale Martin, a contention was raised, that if true, is damaging to Religious Studies (and related disciplines), and betrays the value and one of the key initial purposes of the field. It is obvious to many of us that Religious Studies is useful, due in part to the critical, secular, etic approach to religion that it encourages. (Although this does not necessitate that Religious Studies scholars be irreligious, or be forbidden to or encouraged to avoid teaching or researching their own personal faith). Tsonis questions Martin on criticism that many Religious Studies scholars are effectively arguing for the usefulness of religion, demonstrating a pro-religious agenda. Tsonis mentions one academic claiming that Religious Studies scholars “claim the prestige of the university while following the rules of the seminary.” Tsonis wonders if this is a real phenomenon, and what effects this may have on our colleagues’ methodologies, funding, and employment prospects. Martin’s answer is thoughtful, but also damning. In attempting to deny the claim, Martin acknowledges that many scholars working in Biblical Studies are Christians, and many of them are of the conservative type. He then says that the claim does not align with his experience, citing examples of scholars teaching on Hinduism, Buddhism, and Islam, without personally practicing or arguing for those faiths. It seems that not only has Martin acknowledged the issue in a roundabout way, but also alludes to a greater problem: the imbalance of power, the greater influence of Christianity in Western academia, compared with other religions, both major and minor. This discussion prompted me to reminisce about my own experiences in my first year of working in the scholarly world, particularly in initiating my Master’s research dissertation. I faced opposition from within the department to the extent that I had considered abandoning the project. These challenges presented themselves despite the fact that I had not yet decided the angle, or of course, the conclusions. What was the topic that proved so challenging to research? Jesus mythicism, the contention that there may not have been a ‘historical Jesus’. I would eventually pass, with the examiners – themselves scholars of Religious Studies – agreeing that a review of the methods of many Biblical scholars is necessary (for example, the increasingly-maligned Criteria of Authenticity) and that it is entirely rational to be sceptical over the historicity of Jesus of Nazareth. 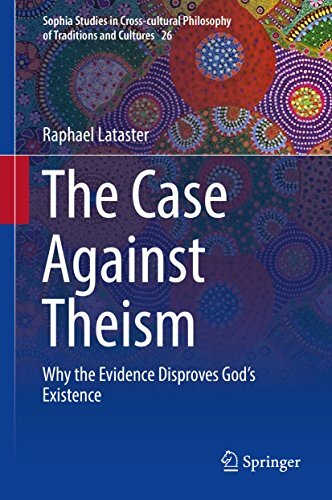 Such conclusions should not necessarily be so controversial in a field dedicated to the critical and non-confessional study of religion. More worryingly, there were instances where I felt pressure to alter the direction of the project, in order to allow for more ‘Christian-friendly conclusions’. But why would such respected scholars wish to interfere with the most fundamental of academic freedoms? It may have had something to do with their personal religious beliefs about Jesus. Interestingly however, such belief is not actually required for such a reaction. One example is provided by noted Biblical scholar Bart Ehrman, one of many secular New Testament experts. Professor Ehrman is an outspoken atheist, yet dogmatically defends the historicity of Jesus and the usefulness of his teachings, while harshly and fallaciously (Lataster 2013) criticising those scholars that are audacious enough to be more sceptical than he (Ehrman 2012). Hector Avalos argues that even many non-Christian scholars are influenced by the political power, and finances, of pro-Christian organisations (Avalos 2007). Avalos claims that positive attitudes towards the Bible, Christianity, and religion in general, is often seen as necessary in order to keep these academic disciplines relevant, and funded. Hoping that Avalos’ gloomy conclusions were wrong, and that experiences such as my own are rare, I would then discover a powerful Christian undercurrent in a related – and perhaps more esteemed – field; ancient history. While studying the historical Jesus under one of Tsonis’ colleagues from the Ancient History department of Macquarie University, I ‘learnt’ that there is a “resurrection-shaped dent in the historical record.” I would then participate in a public debate against one of my own Religious Studies postgraduate colleagues, and another Ancient Historian from Macquarie University, where my (Christian) opponents used their authority as subject-matter experts in attempting to convince the audience that it is perfectly rational to believe that a miracle-man was brought back from the dead by an unproven deity. It didn’t matter to this ancient historian that his resurrection claim is burdened by a crippling prior probability, is supported by extremely poor sources, or that there are far more probabilistic – and naturalistic – explanations, despite his agreeing with my reasonable claim that history is probabilistic. Christian influences can even be found in Philosophy departments, once great bastions of rationalism and scepticism, via Philosophy of Religion (Quadrio 2009). Back to the interview, Martin further addresses the contention that Religious Studies scholars border on being crypto-theologians, and defends his ‘insider’ status. He argues that his Biblical criticisms ought to be given more weight (compared with a non-believer’s criticisms) as he is a Christian, and might be expected to aggressively defend his faith and agree more with his fellow adherents. As with the speculative criterion of embarrassment, Martin’s criticisms are partly interesting due to their counter-intuitive nature. These relatively small criticisms however, must be weighed against the fact that Martin still believes the unsubstantiated and question-begging claim that Jesus was resurrected from the dead, by God. Fortunately, in a recent debate, he correctly acknowledges that Jesus’ resurrection cannot be established historically, though this belief does form a part of his worldview (Licona et al. 2012), his values, and ultimately, would be expected to directly or indirectly affect his researching and teaching on Christianity. Martin might indeed offer the occasional criticism here or there, resulting in minor conflict with his fellow believers, but he stops short of, and would not be expected to, criticising and renouncing Christianity and Christian beliefs as a whole. Further commenting on what became the dominant theme of the interview, Martin offered a surprising and seemingly unreasonable counter to the claim that Religious Studies scholars are apologising for religion. Instead of denying this claim, he accuses English, History, and Political Science scholars as being apologists for modern liberalism. Rather than outright denying or acknowledging what may be a vitally important issue in education, Martin offers a tu quoque justification. i.e. “Everyone else does it.” With the discussion drawing to a close, Martin demonstrates an example of my claim that what he offers is only relatively benign pseudo-criticism of his faith. He criticises researchers who attempt to show the similarities of Christianity to other religions and myths (an important and historical foundation of Religious Studies), while asking scholars to be more open-minded to the potential truth of supernatural events and experiences. I am not arguing that the perspectives of ‘insiders’ are not valuable, that religious believers are unwelcome in Religious Studies departments, and related fields, or that religion is not a force for good in the world. I merely wish to share my own experiences on the matter, and to encourage scholars to leave their personal beliefs at the door, as they enter the sacred grounds of the University. Avalos, Hector. The End of Biblical Studies. Amherst, NY: Prometheus Books, 2007. Ehrman, Bart D. Did Jesus Exist? : The Historical Argument for Jesus of Nazareth. New York: HarperOne, 2012. Lataster, Raphael. Jesus scepticism: An examination of the arguments for various ‘Jesus as a myth’ theories. Master’s thesis, Sydney University, 2013. Licona, Michael, and Dale Martin. Did Jesus Rise Physically from the Dead? Arva, ON: The Navigators, 2012. Video recording. Quadrio, Philip A. Kant and Rousseau on the critique of philosophical theology: The primacy of practical reason. Sophia 48, no. 2 (2009): 179-193.